I was sooo excited to finish this one up. 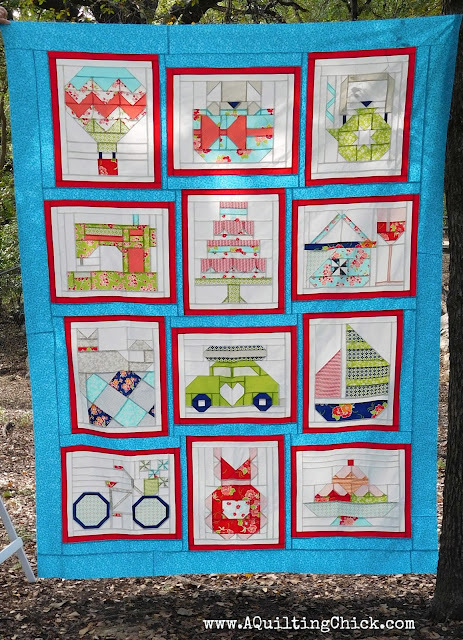 The Snapshots Quilt Along was hosted by The Fat Quarter Shop last year and was designed by Bonnie and Camille. It is absolutely one of my favorites. Each block was even more cute that the last. That balloon!! The cute puppy will get button eyes after it's quilted. That slug bug block was probably the most difficult for me. But it's so freakin' cute!! That sewing machine though!! 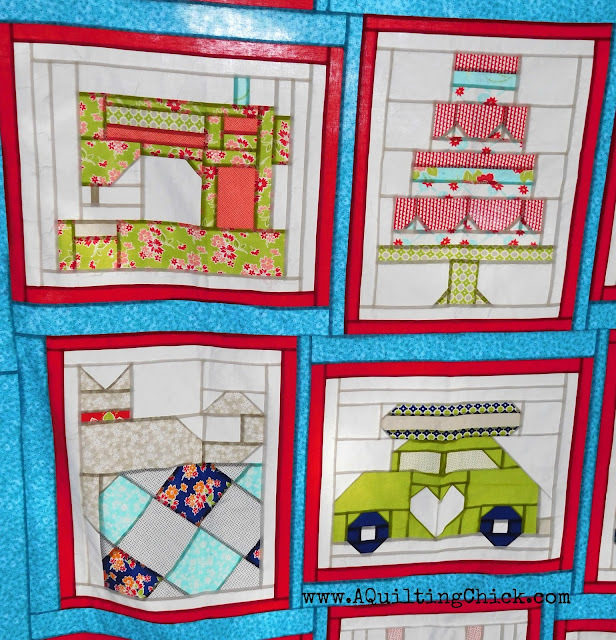 I used a fat eighth pack of Miss Kate by Bonnie & Camille for my blocks. The fabrics play beautifully with this pattern. But I must say that I think the bike is my favorite block of all. So cute!!! In other exciting news, I'm participating in the Sew Pro Stars Blog Hop this week! This wonderful group of people that I met in Chicago for Sew Pro, are coming together this week to bring you some AMAZING sewing projects and quilt blocks and to share with you our takes from Sew Pro! Please make sure to stop by and join in the fun! There's a terrific giveaway also, and I will be hosting my own giveaway on Thursday when it's my turn to share!! Please join in the fun! 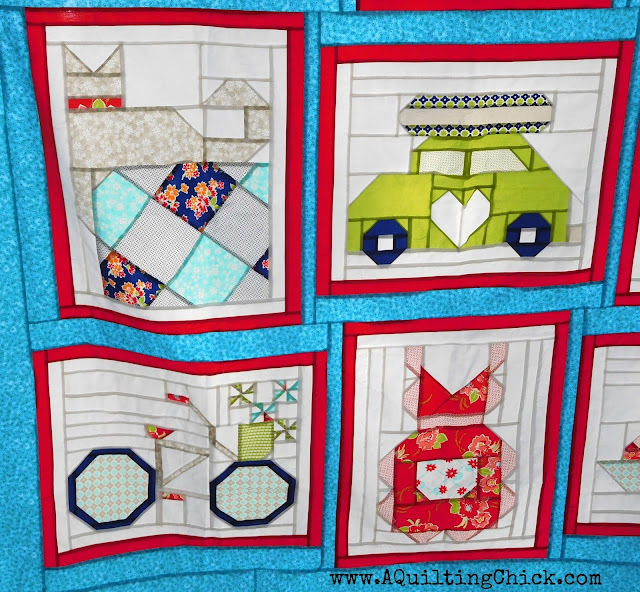 Linking up with Patchwork Times for Design Wall Monday, Show and Tell Monday with Bambi, Cooking Up Quilts for Main Crush Monday, and Love Laugh Quilt for Monday Makers. Fabric Tuesday at Quilt Story, Freemotion by the River for Linky Tuesday, and Fiber Tuesday at Quilting Room with Mel. 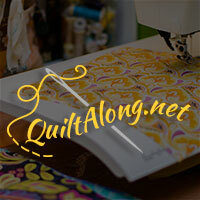 Let's Bee Social on Sew Fresh Quilts, Quilt Fabrication for Midweek Makers, and WOW for Esther's Quilting Blog. I agree with you. These block are sooo beautiful. Think I like the sewingmachine best! 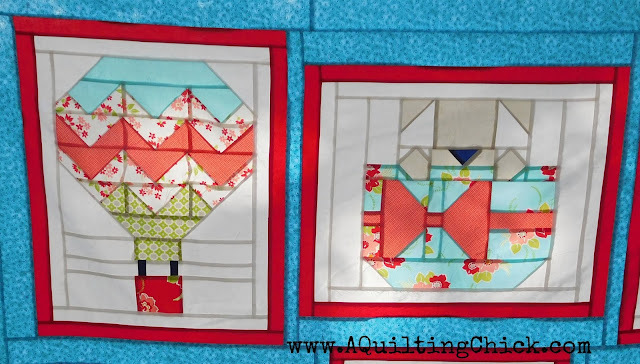 I did not know that piecing could make up such adorable fun blocks. Your quilt is just about the cutest thing! how do you think you will quilt it? 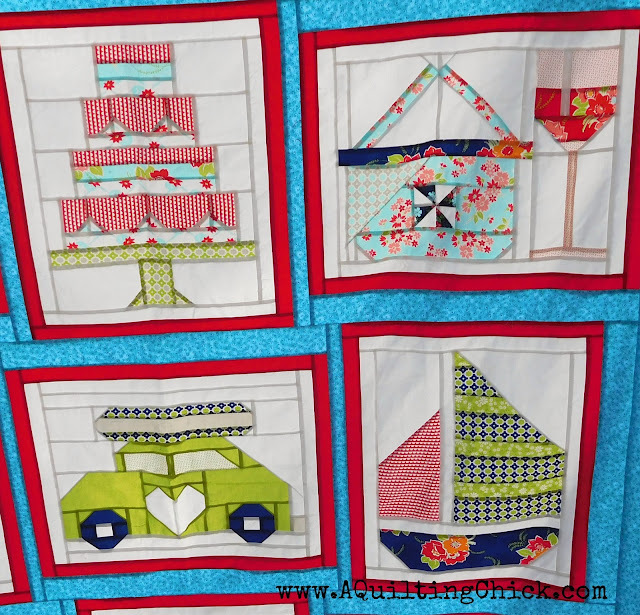 I've always loved this quilt and yours is just darling! Nice work! Oh wow, such a lot of work, and those fabrics!! And I'm with you on the bike, so cute! Very cool quilt. Love those blocks. Lovely! I really like that tea kettle block! The blog hop looks like fun! I love your finish on this quilt. 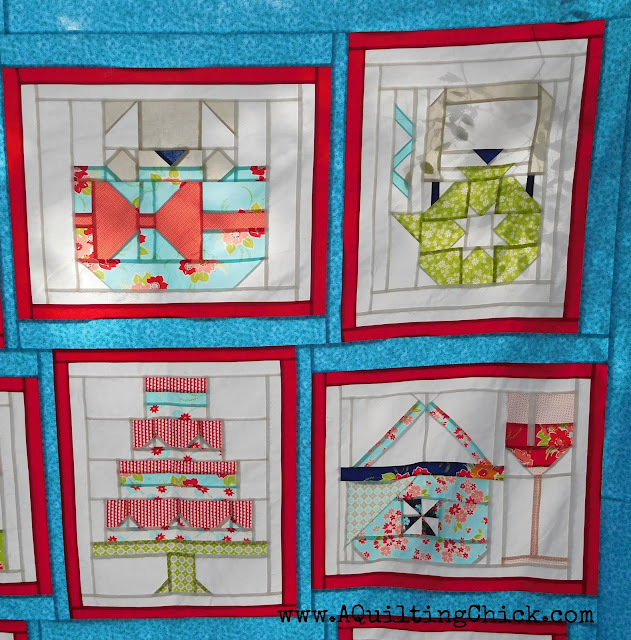 The blocks are so much fun, and your fabrics just add to that. Very fun blocks! Your finished flimsy is so cute.